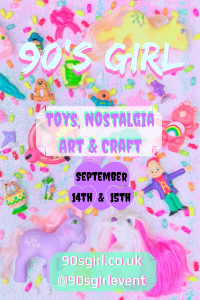 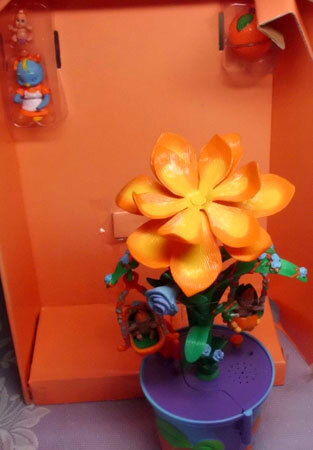 "Sweet, unique and fun to collect!" 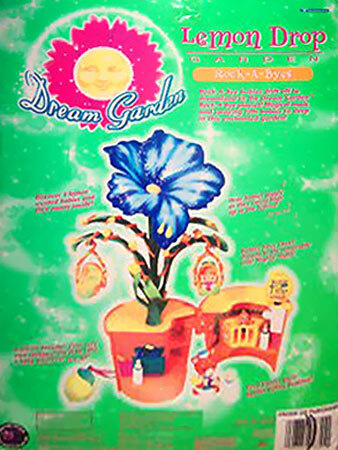 Dream Garden were produced by Trendmasters from 1997-98. 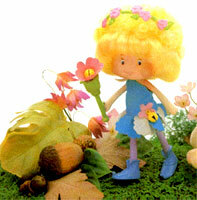 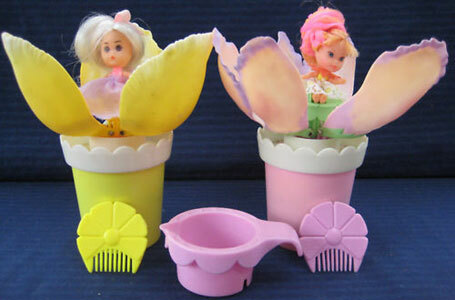 They were a series of musical plant pot playsets with little scented babies and animal nannies. 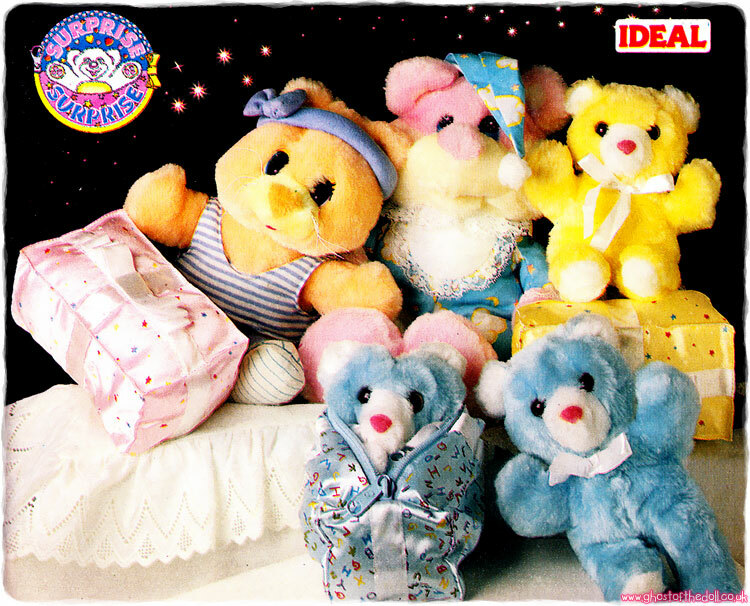 There were also several soft babies and and a few pets. 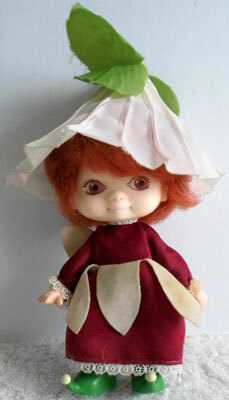 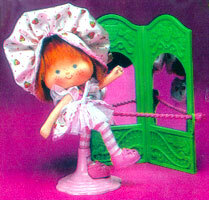 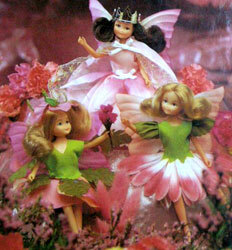 Images on this page thanks to various eBay sellers including cwcobco, melody1981*123 , and joboxy! 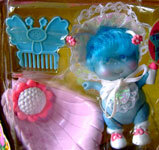 Some images were found on Worthpoint with no sellers name included, so if any of these images are yours please contact me so I can add your name/link here. 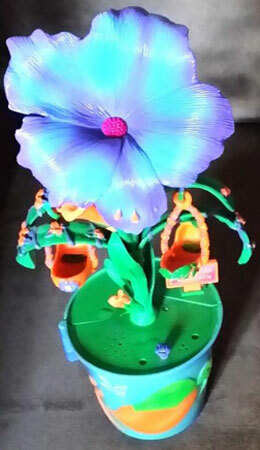 View all Dream Garden on eBay.com or eBay.co.uk ! 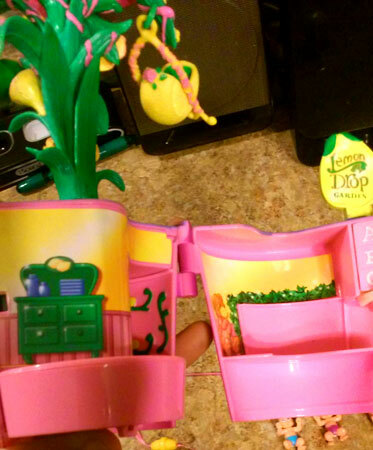 There were two "Rock-a-Byes" playsets produced, and two versions of each set. 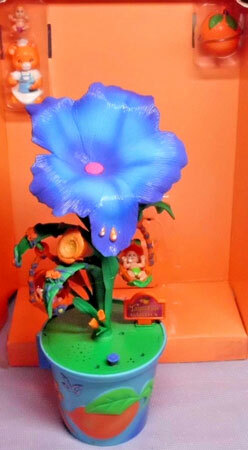 They were dated 1997. 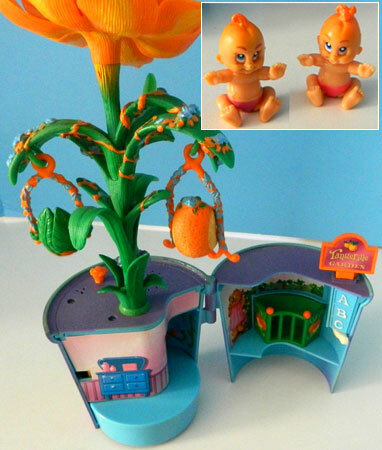 The large fruit was also a necklace, and the pots played music and giggling baby sounds. 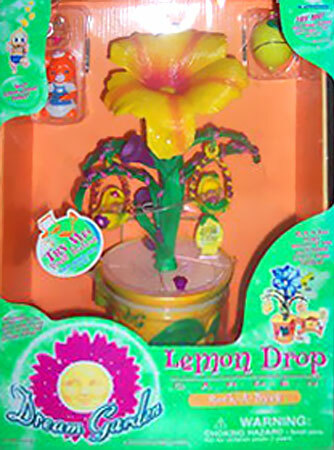 Each set came with 3 babies and a nanny, 3 bottles, 2 swings and a fruit necklace. 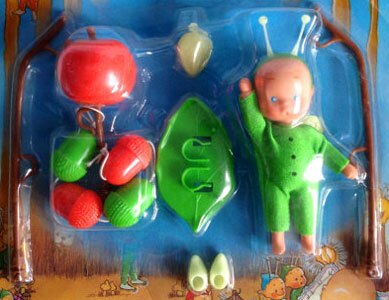 "Rock-A-Bye babies drift off to dreamland in the Dream Garden Rock-A-Cye playset! 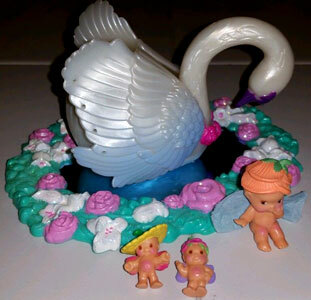 Magical _ and swaying lulls babies to sleep in the enchanted garden! 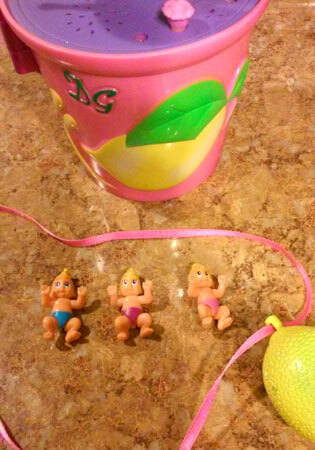 Discover 3 lemon scented babies and their nanny!" 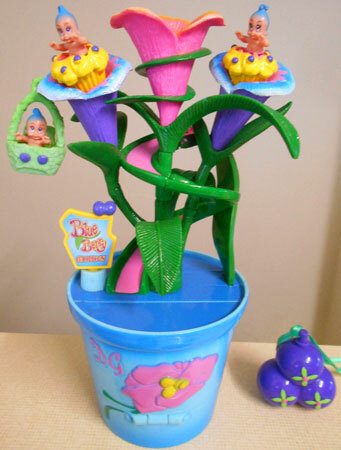 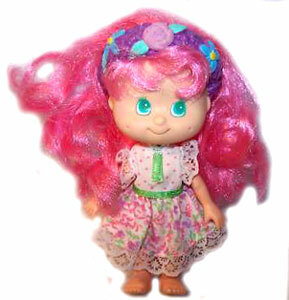 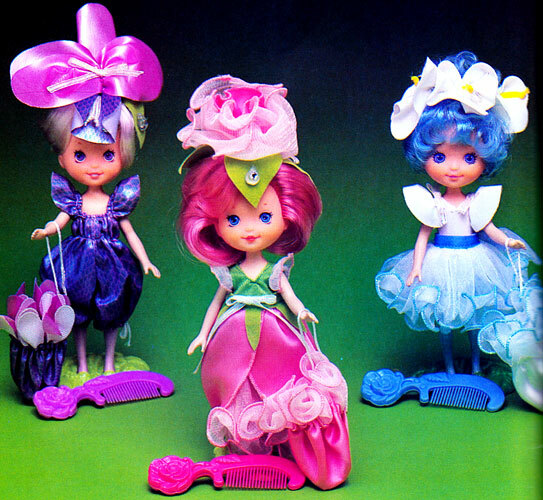 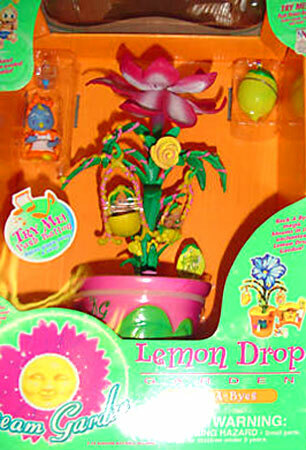 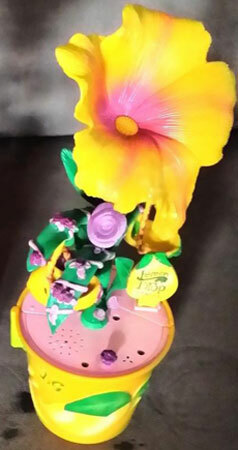 This playset was produced with a yellow flower and a pink flower. 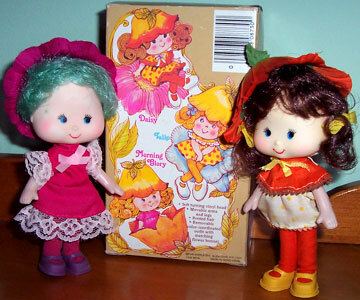 The back packaging was the same for both versions. 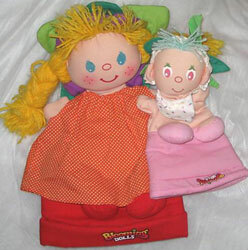 There were two different nannies, shared between the four sets. 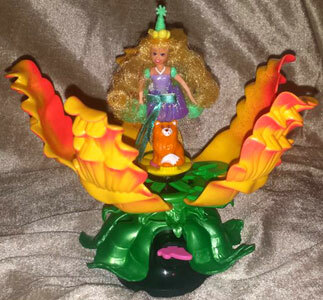 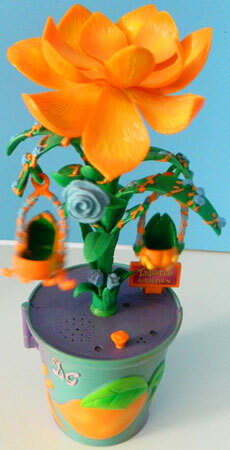 This playset was produced with an orange flower and a blue flower.